Alan Panaccione the owner, purchased Allura in 2003 after having been in the residential construction field since 1987. We specialize in high end luxury kitchen and bath design and installation. 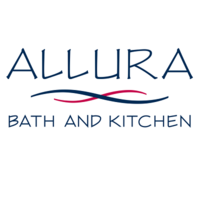 Allura Bath and Kitchen provides design, sales, install, and construction services related to kitchen and bathroom renovations. We are a small family run business with dedicated employees we strive to make every experience a great one. We have 2 amazing designers who have decades of experience in the field. Our installers and project managers have been working together with the designers and Alan Panacccione's for years if not decades. We all work together to provide a high quality product to the customers with great customer service.